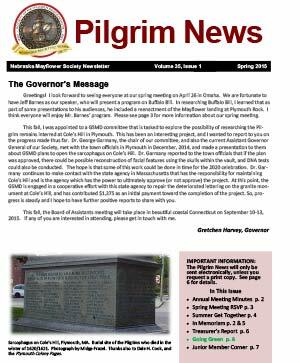 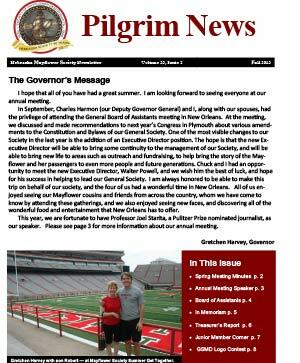 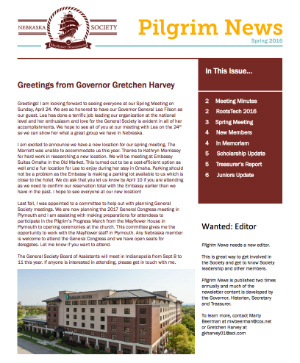 The Nebraska Society publishes Pilgrim News two times each year–prior to the Spring and Autumn meetings. 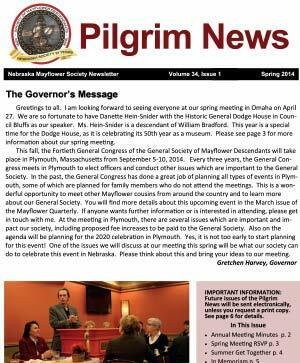 To submit items for publication, contact Stephanie Donsig at sdonsig23@gmail.com. 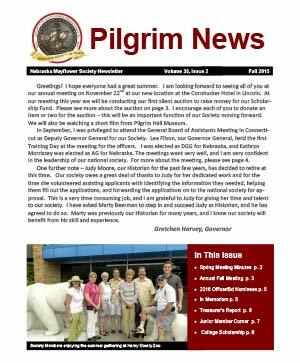 Deadline for the Autumn issue is Oct. 1. 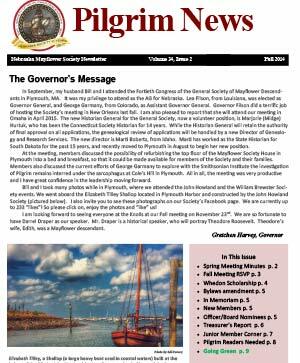 Deadline for the Spring issue is March 1.